Published in Industry Updates on 11/06/2017 by Harry Lew, Chief Content Writer. If you sell individual life insurance the old fashioned way—meeting with prospects over a kitchen or office table, then putting applications through a traditional medical underwriting process, you may need to wake up and smell the new sales paradigms. Several LIMRA studies point to the emergence of innovative business models challenging the old sales order. One potential implication: that agents may want to adapt their methods, while increasing their effectiveness, to better meet consumer preferences. The first report—Employment-Based Life Insurance Ownership Trends (LIMRA, 2016)—found that 108 million Americans have life insurance coverage through their workplace, compared with 102 million covered by individual life insurance. This is the first time the number of people with workplace life insurance has surpassed those with individual policies since LIMRA began tracking U.S. life insurance ownership in 1960. The study also revealed that over the past 50 years, the number of Americans covered by employment-based life insurance has increased significantly (nine million in the past six years alone), spurred by environmental forces such as population growth, workforce participation rates, and labor market conditions. The number of households covered by employment-based life has increased by 68 percent (to 57 million), while the number of people (adults and children) covered has almost doubled (from 55 million to 108 million). 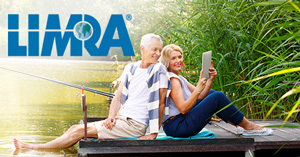 Meanwhile, LIMRA’s 2017 Insurance Barometer Study paints a picture of an industry moving toward simplified underwriting, receiving kudos from consumers who can buy their life policies quicker and easier than ever before. According to the study, the public also values simplified underwriting’s other benefits, including risk and price transparency (67 percent), an unbiased application process (66 percent), and no need for a medical exam (64 percent). Overall, consumers (51 percent) said that a “faster sign-up process” was very or extremely important to them. Related to this is the increased consumer desire to buy life insurance online, leading to a three-fold increase in Internet life insurance purchases since 2011. If those statistics aren’t a wake-up call, here are some that may jolt you. According to LIMRA’s most recent U.S. life insurance ownership study, 51 million Americans believe they need more life insurance. However, only a quarter of those say they plan to shop for coverage over the next year, with even fewer actually buying a policy. Making things worse, one in five U.S. households with children under 18 are uninsured. Four in ten of such households say they’d have immediate financial trouble if a primary wage earner died today, and another three in 10 say they’d fall behind their basic living expenses after several months. Put the three studies together and what do you have? An opportunity to raise your life insurance sales game. The reason workplace life insurance is gaining is because it’s easy to get—provided free as part of a benefit package or available as an employee-paid upgrade to basic benefits packages via convenient payroll deduction. Agents have noted the appeal of workplace selling and have increasingly made voluntary-benefit life insurance part of their portfolios. They’ve also added online quoting systems to their websites, while engaging more frequently with prospects via social media. If you can figure out how to best integrate these new capabilities into your business model, you will likely have a significant leg up in tomorrow’s marketplace. This means you’ll be doing your part to shrink the life insurance penetration gap, especially among families with young children. Good luck and happy selling!